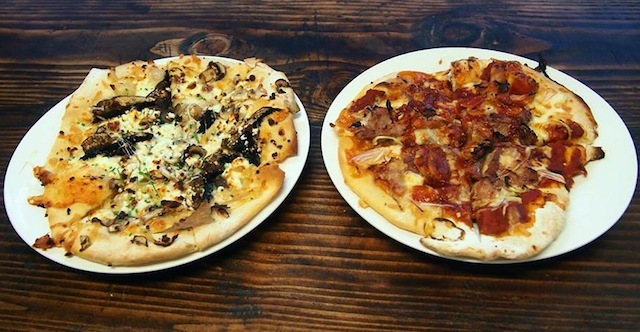 When it comes to pizza in Los Angeles, things can get a little ugly. Despite our national rep as being woefully lacking in the decent pizza department, there are more than a few spots where you can order up an excellent pizza pie or slice. Instead of coming up with the list of usual suspects, we thought we&apos;d steer you towards some places you may have never tried. 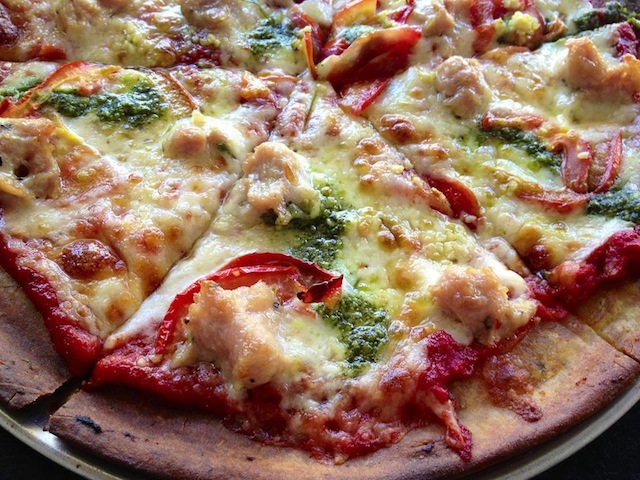 We talked to a few locals who know their pizza, and came up with this offering. Like most L.A. slice shops, LaRocco&apos;s tries to trade on its ties to New York City. But its awesomeness has nothing to do with the fact that the owner was brought up in Brooklyn, or even the thin crusted slices of cheese pizza staring out at your from behind the glass. You know it&apos;s a real New York City pizza parlor because it has something that a lot of the more famous places in L.A. inexplicably don&apos;t (I&apos;m looking at you Vito&apos;s!) A 2 slice and a soda lunch special. This relatively new pizza place on Wilshire has a lot of the lame crap you&apos;d expect from a self proclaimed "artisan" pizzeria in Los Angeles. There&apos;s vegan cheese, gluten free dough, and no shortage of different gourmet sausages with unappetizing sounding filings (rattlesnake, alligator, chicken, vegetarian). But what they also have is a stellar slice of margherita pizza, complete with olive oil, fresh snipped parsley, and a nicely charred crust. Is it the DiFara&apos;s of L.A.? Not quite. But it might just be the most underrated slice of pizza in the city. A mainstay of downtown Culver City, Ugo quietly reopened after a substantial interior and menu renovation. The most notable addition is the red tiled Stefano Ferrara wood fire oven roaring in the open kitchen. It’s also hard to miss the pallet of ‘00’ Caputo flour and the pride in their housemade mozzarella. In and of itself, these do not guarantee an excellent pizza. But in Ugo’s case, it does. The soft, chewy Neapolitan-style crusts are topped with balanced combination—of which the Pistacchio e Mascarpone is my absolute favorite. Having an impressive pedigree—like Mozza and Piccolo Venice—does not always carry through into a team’s next restaurant concept. Yet Frank Fermin (of Mozza) and Mario Vollera (of Piccolo Venice) do just that. I knew this place would be great the moment I spotted Mario; anyone who loved Antica Pizzeria will recognize him immediately. The pizza’s texture is similar to Mozza, but instead of the nutty mix of flours, South End’s light white crumb carries the tart funk of the bold natural starter. The sauce, made from fresh tomatoes slow roasted for 4 hours is rich, more like a marinara than a traditional pizza sauce. 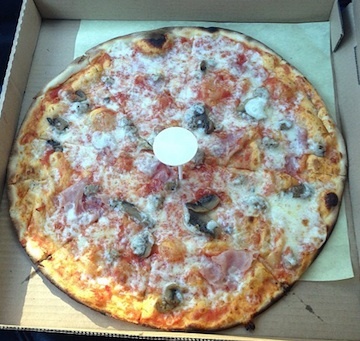 The mozzarella is made in house, a tradition Mario brought from Antica Pizzeria. Served with a well curated wine list, I expect great things from this pocket pizzeria in a Venice strip mall. Speaking of strip malls, Jamie Woolner and Sean St. John have been serving their unique pizzas from the back corner of an Altadena strip mall since mid July. The free-form crust carries some of the most provocative toppings in Los Angeles. From braised lamb to sashimi to kidney bean puree, the fearlessness of the chefs shines through in every pizza they create. In this short time they have displayed an uncommon vision. As they accumulate experience, it will likely become even clearer. When sitting at the bar, Olio&apos;s wood fire oven&apos;s dancing flames could put you in a spell. Hopefully, you&apos;re able to place your order before that happens so a beautiful pizza with a crust looking like it was sculpted by the most rustic Italian pizza-making gods awakes you. Pro tip: get some spicy olive oil to drizzle on that heavenly crust. The Best Slice of Pizza in LA! &apos;Pizza Here is as Bad as the Mexican Food in NYC...&apos; Or Maybe Not?